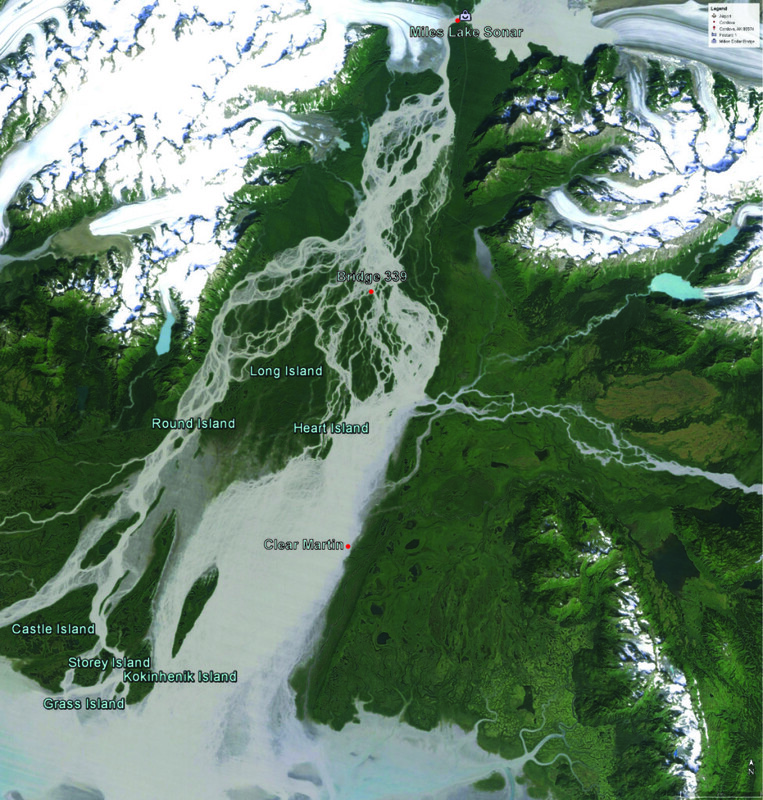 In-season management of the Copper River salmon fishery is difficult: the Copper River Delta is very braided near the ocean, and the first choke point where the river is in a single channel is at Miles Lake, which is a minimum of 35 river miles from the open ocean. 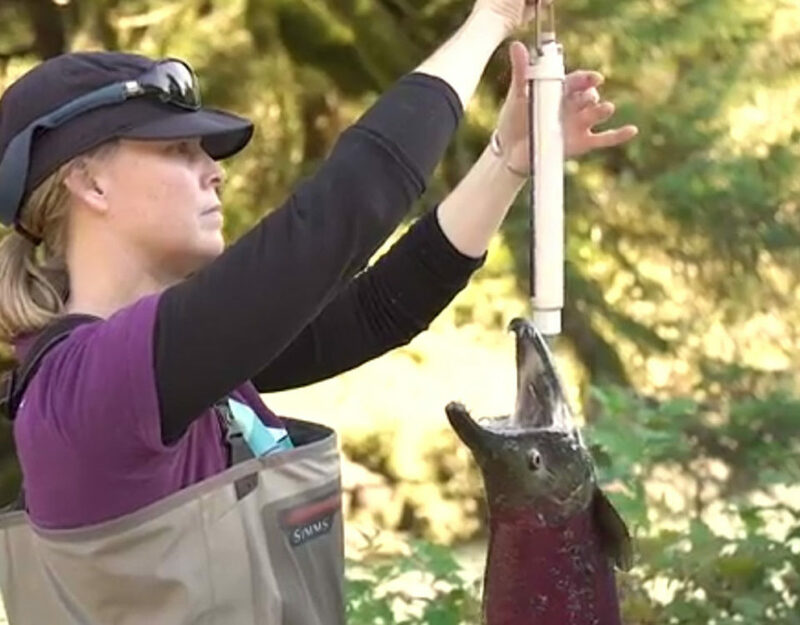 The Alaska Department of Fish and Game has a sonar weir at that choke point, where up-migrating salmon are counted to ensure sufficient escapement from the fishery. 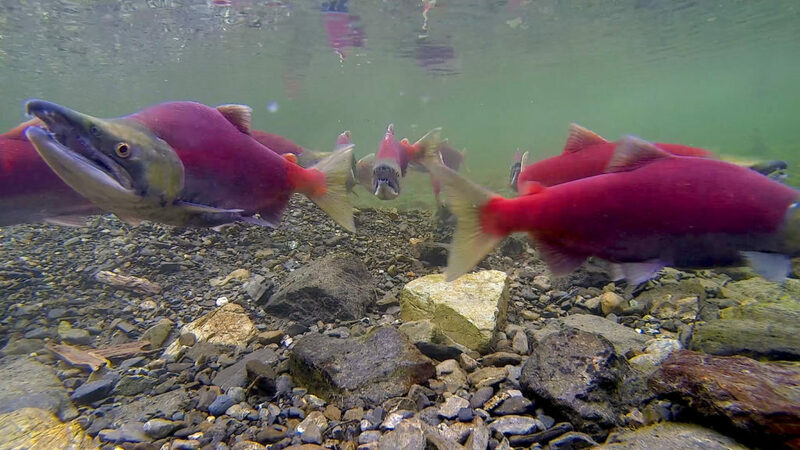 There is, however, a multi-day gap between the time when salmon enter the river (and are no longer catchable by the fishery) and when they pass the sonar weir, which can complicate management decisions about the timing and duration of fishing periods. In winter and early spring, the majority of the water in the Copper River Delta moves through a single channel, located at the current end of the Copper River highway (the now washed-out 36 mile bridge). 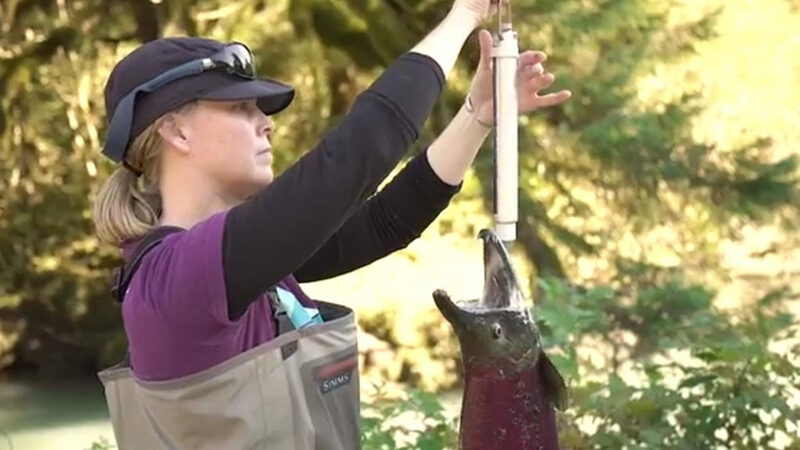 36 mile is therefore a potentially useful choke point where fish may be counted in the early season to augment the ADF&G sonar weir up river and provide an idea of the movements of salmon in the middle part of the delta. Acoustic lens systems such as the DIDSON sonar used by ADF&G are very expensive (~$80K) and have extremely limited range. However, there have recently been many advances in smaller, lower cost, lower frequency imaging sonars that may be used in the same way as the ADF&G sonar: essentially creating an acoustic “video”, where fish may be seen moving up and down the river. 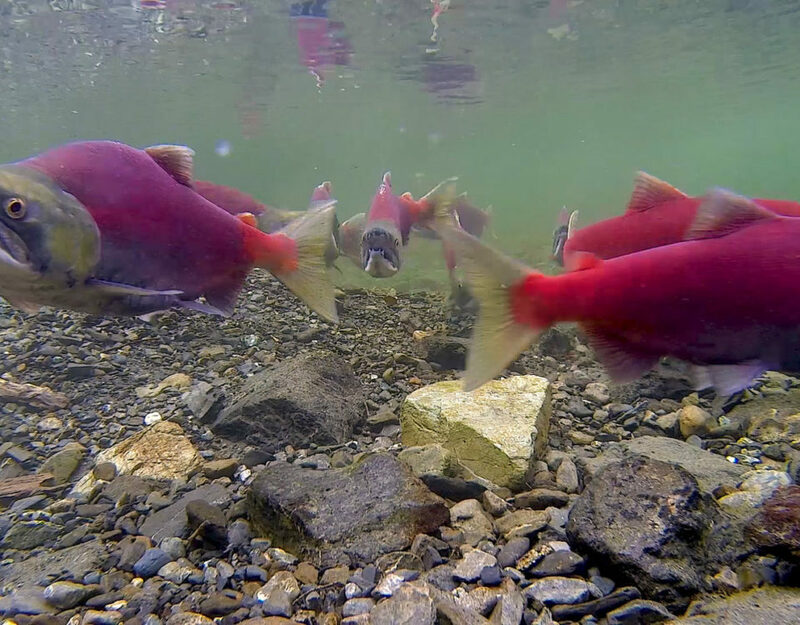 With funding from the Copper River/Prince William Sound Marketing Association, researcher Rob Campbell will be deploying four different imaging sonar systems near the 36 mile bridge during the 2015 run to test their ability to image salmon. If the systems prove useful, the next step will be to produce operational counts that could be made available to all (commercial fishermen and the ADF&G managers) in an open format, to enhance in-season management of the fishery.